Former 49ers wide receiver Dwight Clark, perhaps best known for “The Catch,” posted a somber note on social media Sunday announcing he was diagnosed with ALS, CBSSports.com’s Will Brinson reports. “I wanted to share some unfortunate news: I have ALS,” Clark tweeted. ALS, or amyotrophic lateral sclerosis, is a degenerative nerve disease that affects nerve cells in the spinal cord and brain. It’s also known as Lou Gehrig’s disease. According to a letter Clark penned on the DeBartolo Holdings website, he first became concerned when he felt weakness in his left hand back in September of 2015, and underwent months of tests and treatment before being diagnosed. Clark suspects football caused the disease. Clark, a native of Kinston, North Carolina, went to Clemson and was drafted by the 49ers in the 10th round of the 1979 NFL Draft. He played eight seasons for the 49ers, finishing with 506 catches for 6,750 yards in his NFL career. In his career, Clark won two Super Bowl titles and led the league in receptions once. 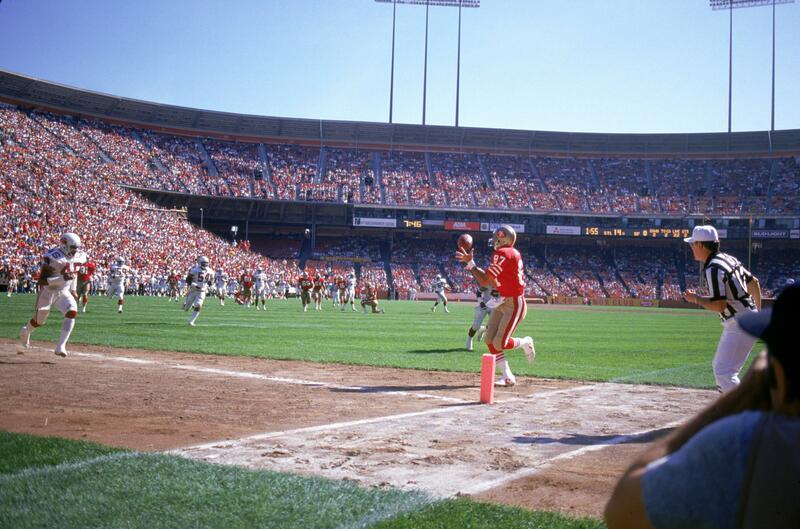 In 1982, Clark made “The Catch” -- a 6-yard touchdown reception in the back of the end zone -- to propel San Francisco over the Cowboys and into Super Bowl XVI.